Need Air Conditioning Repair Services in Suwanee, GA? It tends to get quite hot in the state of Georgia, we surely do rely on our air conditioned homes to stay cooled. Nevertheless the time may come when our equipment becomes damaged and is in need of repair. On a hot summer day In the city of Suwanee, GA the heat becomes unbearable. If your caught in this situation, your best bet is to call Lawrenceville Heating and Air. We have a team standing by for you, our accredited professionals are ready to provide you with the best AC repair Suwanee GA has to offer. Our professional HVAC staff can handle all your air conditioning repairs. Our company is licensed, insured, and ready to fix your ac unit. We are able to take care of all types of problems no matter the size. Our staff will arrive at your home to identity the condition of your system and locate the problem while treating you with respect and courtesy. A new air conditioning system can be a significant purchase for a new or existing homeowner. We do everything in our capacity to repair your system, therefore avoiding major expenses that may be incurred. Our certified Suwanee air conditioning repair technicians have the experience necessary to fix all kinds of complex repairs. If we find your unit will need to be completely replaced we will assist you in choosing the best option for your next system. Instead of trying to up sale you, we analyze your home to find the perfect fit for your space and budget. When the moment arrives that you need AC repair Suwanee GA, look no further than Lawrenceville Heating and Air. Enjoy top quality service and unmatched customer satisfaction at affordable prices. If you have any questions of concerns please don’t wait to call us. We are here to help you. Get out of the Heat and find the home comforts of you air conditioner now! Lawrenceville Heating and Air, AC repair experts providing first class air conditioning service in and around 30024 and surrounding Gwinnett County areas. If you’ve ever spent a summer in Georgia, you already know how essential an AC system can be to maintaining comfortable temperatures in your home. Whether you are finally ready to install or replace your AC system or repair an existing one, our experienced, licensed professionals in Suwanee GA at Lawrenceville Heating and Air are ready to assist you. We make customer service a priority. That means offering transparent pricing, carrying leading brands, and above and beyond vigilance as we work to better your home or business. If your AC system is having a serious issue, our friendly team can assist you. At one time or another, we’ve all been in this situation: You notice that it’s getting hotter outside and hotter in your home. You go to your thermostat and realize it’s nearly 80 degrees! Even worse, you check the air coming out of the vents and it isn’t cool. In these instances, it’s time to call a professional. It’s also worth noting that an occasional inspection or tune-up of your AC system can help keep it running as smoothly as possible. This kind of regular maintenance can keep your system running as efficiently, which can help you save money on your energy bill. 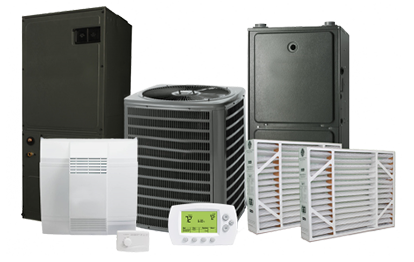 Additionally, if you are looking to install a new system or replace an old, failing AC unit, our team in Suwanee can help you. We are familiar with all of the leading brands and models and can help you and family select a reliable, cost-effective option that will keep your home cool and comfortable for seasons to come. Go a step further and ask about our maintenance agreement and have peace of mind year round.